Of Hervé’s three most successful full-scale opéras-bouffes, it was Le Petit Faust, the only one of the three to parody another specific work (L’Oeil crevé more or less burlesqued William Tell but only amongst a whole quiverful of other targets and Chilpéric burlesqued mediaeval history) in Goethe’s Faust and Gounod’s operatic version thereof, which ultimately proved the most successful and the most enduring, in France if not always beyond. Allegedly written with the Variétés company in view, with Schneider and Dupuis tagged for the rôles of Marguerite and Faust, and at one stage mooted for the Palais-Royal, where it was suggested that the vast-nosed comic Hyacinthe might play Siebel, the piece was ultimately mounted at the Folies-Dramatiques with no such starry casting. 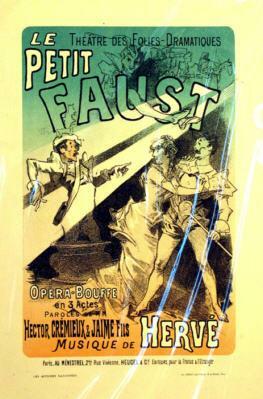 Poster for “Petit Faust” with a cross-dressing Mephisto. Marguerite (Blanche d’Antigny) is brought to the academy for young persons run by Doctor Faust (Hervé) by her brother Valentin (Ange Milher) who is off to the wars. Faust is elderly and immune to girls, but the combination of Marguerite’s determined teenage vamping and the interference of the cocky Méphisto (Anna van Ghell) sets the pedagogue in a whirl. Having awakened desire in Faust, Mephisto now has fun helping him assuage it, at the usual price. 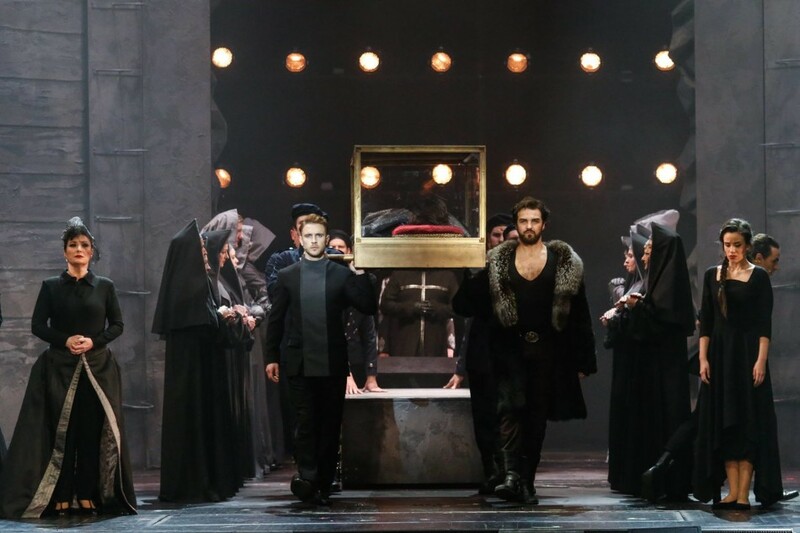 The artificially rejuvenated Faust, rich and handsome, goes to Paris in search of Marguerite and, having disposed of the interfering Valentin in a duel, prepares to wed the willing girl. Méphisto makes sure that Faust suffers first jealousy, then disappointment when he discovers that his beloved is only after his money, then remorse when the ghost of Valentin turns up inopportunely in the wedding soup, and at last he carries both the foresworn Faust and his ill-behaved bride off to Hell. The extravagances of Crémieux and Jaime’s libretto were not so much in the tale but in the telling of it. The authors indulged in the most far-fetched, zany scenes and speeches, highlighted by the burlesque duel between Valentin and Faust, waged with vegetable knives and won by chicanery when the devil offers the soldier a pinch of snuff in mid-fight. The craziness extended to the songs in pieces such as the gobbledegook Trio de Vaterland and Valentin’s burlesque operatic death, whilst still leaving place for lashings of the suggestive, as in Marguerite’s insistence on mock-childishly showing Faust her well-placed bruises (C’est tout bleu’) and her trouser-dropping tale of `Le Roi de Thune’, and even the picturesque, as in the parade of the Margarets of all nations in Faust’s search for his love. Méphisto had a lively rondeau with which to introduce himself, Marguerite a winsome tyrolienne and Valentin a martial soldier-song, and grotesque echoes of the most famous elements of Gounod’s score were everywhere. A later addition to the score was a waltz contest, parodying ‘the music of the future’ in the form of Wagner’s Die Meistersinger. 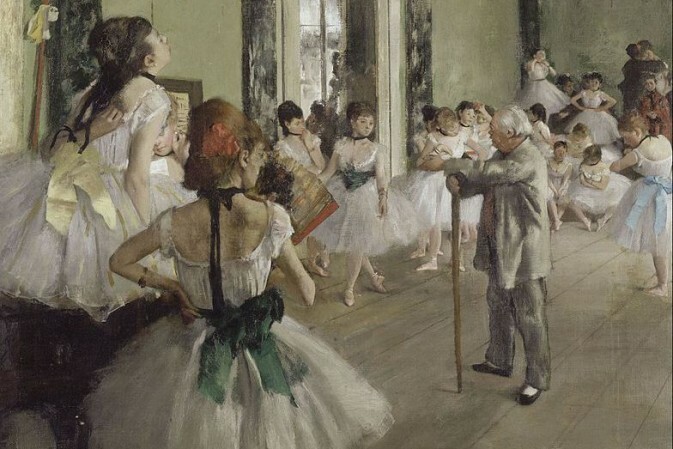 Following its highly successful Paris creation, Le Petit Faust followed the most successful works of the French opéra-bouffe stage around the world. Hervé, who had rocked London with his Chilpéric, decided not to play the follow-up season of Faust as well, and it was Scots music-hall comic Tom Maclagan who introduced the English version, done by H B Farnie after Dion Boucicault withdrew, with Marguerite Debreux as his Méphisto and Emily Soldene as a buxom Marguerite. Mons Marius was a downy Siebel, Tom Aynsley Cook a booming Valentine, and the young Jennie Lee scored a star-making hit as a little street arab with one scene to play. A fair to fine success, even though it did not begin to compare with Chilpéric in London popularity, the production ran through its fixed season from mid-April to the beginning of July. By that time Doktor Faust junior (ad Richard Genée and, like London, including the Wagnerian parody) had made its appearance on the Vienna stage with sufficient success to be repeated 40 times during the two seasons it remained in the repertoire. Budapest was given an Hungarian version (ad Endre Latabár, Solymossy), St Petersburg a Russian one and Belgium, Italy and South America saw the show in its original French, but it was New York which got the most curious versions of all. It was Kelly and Leon’s Minstrels who were the first to bring a version Le Petit Faust to the American stage, and they altered the casting (and potted the show) in their usual way. In a Kelly and Leon show, Leon was always prima donna. Alice Oates, in her opéra-bouffe début, followed behind them with a no less personal version. She used the London text as her starting point, but by the time it made it to the stage it had been re-adapted (allegedly by London conductor Frank Musgrave), localised, and generally mutilated and Mrs Oates (who had sacked Martha Wren in rehearsals when she began to covet her rôle) had grabbed the parts of both Méphisto and the Street Arab for herself! H T Allen (Faust), Marion Taylor (Marguerite), W H Crane (Valentine), George L Fox (Martha) and Charles H Drew (Siebel) supported through a forced five weeks. Kelly and Leon promptly came out with a superior, unpotted version in competition. Soon after this, however, the entrepreneurial James Fisk introduced his newly imported set of Parisian opéra-bouffe stars to Broadway in a more conventilonal Petit Faust and, at last, Broadway got to see something like the real thing. Léa Silly played Méphisto and Céline Montaland was Marguerite alongside the Faust of Constant Gausins and, if the stars proved to be not as popular as their predecessors in the booming line of opéra-bouffe importations, the piece, which ran three straight weeks at the Grand Opera House, pleased well. Marie Aimée followed up with her version in the same season, Coralie Geoffroy and the Worrell Sisters (another English Little Faust) all followed suit, Mrs Oates took the piece on the road — and when Marion Taylor departed the cast, replaced her as Marguerite with .. Harry Allen! — and Lisa Weber had it revamped as Little Mephistopheles for her touring company which featured Miss Taylor as Faust, a male Marguerite and some fresh music by the star’s husband, W S Mullaly. Finally Paola Marié appeared at the Fifth Avenue Theater in the rôle of Méphisto, which she had taken over in the original Paris production and played on several occasions in Brussels. All in all, New York and America had a fair go at Le Petit Faust .. in one shape or another. Le Petit Faust was brought back to the Paris Folies-Dramatiques in 1872, again in September 1876 with Simon-Max, Coralie Geoffroy and Mlle Prelly starred, and again in 1881 a revised and expanded version, which featured Mlle Raffaele as Marguerite, stretched the rôle of Siebel (played as a tiresomely smart schoolboy) as a vehicle for Marie Gélabert and which included two great chunks of ballet for spectacle’s sake, was mounted at the larger Théâtre de la Porte-Saint-Martin. Cooper and Jeanne Granier starred in an 1891 (16 May) reprise at the same theatre, with Mlle Samé as Méphisto and Sulbac as Valentin, and Guy and Juliette Méaly were featured in yet another at the Variétés in 1897. Both London and New York also mounted later and larger versions of the show during this period. In London, the Alhambra Theatre’s Mefistofele II (ad Alfred Maltby) gave Lizzie St Quentin as the devil the title-rôle alongside Fred Leslie (Faust), Lionel Brough (Valentine) and Constance Loseby (Marguerite), whilst an 1897 New York version, played under the title of Very Little Faust and Much Marguerite, written by Richard Carroll and Clement King and musically souped up by Fred Eustis, was produced at Hammerstein’s Olympia (23 August). Truly Shattuck was Mephisto, chief comic Roichard Carroll played Valentine, and Harry Luckstone and Dorothy Morton took the title-rôles. The show was seen once more in New York, in French, in the repertoire of New Orleans’ Roberval company in 1902. Le Petit Faust won further revivals in Paris in 1908 (Folies-Dramatiques 1 December) and 1934 (Porte-Saint-Martin 19 December with Boucot as Faust and Dranem as Valentin), and it has remained on the fringe of the played repertoire for more than a century, returning in a production at Metz in 1990, and a full-scale revival at Auvers-sur-Oise (26 June 1997) and Paris’s Théâtre Déjazet in 1998 (3 November) with with Marion Sylvestre (Marguerite), Jean-François Vinciguerra (Valentin) and Thomas Morris (Faust). In December 1900 the show’s music was used to compile a ballet, Faust à l’Olympe, produced by the Isola brothers at Paris’s Olympia Music-Hall, with Émilienne d’Alençon (Marguerite) and Jane Thylda (Méphisto) featured, but the record for enterprise must go to the theatre in Besançon which, in 1873, played in one evening — with the same scenery and cast — both Gounod’s opera of Faust and the whole of Le Petit Faust.